Scottish Institute for Policing Research holds fourth annual conference in Dundee. Police funding is to come under focus as 130 senior police officers, forensic experts and academics gather in Dundee on Tuesday. The Scottish Institute for Policing Research is holding its fourth annual research conference - with delegates considering the subject of "Policing in an Age of Austerity". The keynote address will come from Professor Martin Innes, Director of the Universities Police Science Institute, Cardiff, whose contribution is titled "Paying the bill? Policing after the recession". Professor Nicholas Fyfe, of the University of Dundee and Director of the Scottish Institute for Policing Research, said: "This conference focuses attention on one of the most significant challenges faced for a generation by police leaders and those with responsibilities for policing in local and central government. 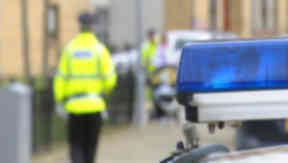 "Significant public spending cuts are already impacting directly on police force budgets but will also have wider implications for policing as fiscal constraints feed through into the broader social and economic environment. Against this background, having a robust evidence-base of 'what works' and 'what's cost-effective' in terms of policing is vital." This year's event is being held in partnership with the Scottish Police Services Authority (SPSA) Forensic Services and their "New developments in forensic science" Conference. The conference takes place at the West Park Centre in Dundee, part of the University of Dundee, and will also include a visit to the new SPSA Forensics laboratory in the city which was officially opened in June. The delegates will visit Rushton Court, SPSA's new £23m forensic laboratory, where the Lord Provost, John Letford, will host a Civic Reception on Tuesday evening. SPSA Director of Forensic Services Tom Nelson said, "This conference will help to further build the vital relationship between academia and our staff working in the frontline of forensic science. By working together we can enhance research and development of our science so that it makes the best possible contribution to the investigation of crime and the pursuit of justice."